As a global home security company, Ring is among the pioneers in home security products. 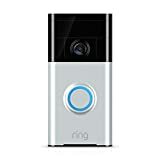 If there’s one security product and probably the best that Ring is known for, then it’s the Ring Video Doorbell. 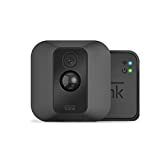 Ring is a manufacturer of home security products that come integrated with outdoor motion based cameras and doorbells. Ring base station is the brain of the security system. It features a 1.5-inch LED ring plus a speaker on top. A pairing button also joins the USB port and LAN port. It also has a reset button, WiFi and power indicators. Also at the base station is a circuitry supporting numerous wireless protocols. The Ring keypad allows you to deactivate and activate the alarm system at will. When at home, use the keypad to disable the alarm system so you can move around freely. Activate the alarm system before leaving the house so you can receive alerts if there’s an intrusion. The Ring home security kit comes with contact sensors for mounting to the doors and window frames. It also has an infrared sensor that detects motion. Once these sensors and detectors get triggered, homeowners can receive mobile alerts wherever they’re. With these, you’ll never miss knowing when a door or window opens or whenever there happens to be a suspicious activity inside and around your home. A range extender has been included in the Ring home security kit to enhance the range of the smart devices that use the standard. When installing the system, the range extender plugs easily into the wall outlet and will extend the Z-Wave Signal by up to 250 feet. That makes it possible to plug the contact sensor and infrared sensor anywhere in your house. Something worth pointing out is that Ring security system comes with a 24-hour backup battery that ensures it remains active whenever there’s a power outage. Unmonitored Security or monitored Home Security? According to the National Council for Home Safety and Security, Homes without security systems in place are 300% more likely to be broken into. As such, you need to invest in a reliable home security system to keep your home and family safe. In the self-monitored home security system, you purchase the DIY kit, install the system and link it to your mobile or computer where you can monitor your home without professional help. An unmonitored system is where you fit a security system, but in the event of an intruder, an alarm will sound to scare away the timid intruders although you’ll receive no alerts. Then there’s professionally monitored home security. In this case, your home security system is connected to a central monitoring station. In the event of an emergency, say a home break-in, a fire breakout, system relays signals to the station. Then your security company will call you to confirm and call the police if there’s a security breach. Interested in professionally monitored home security? Protect America offers reliable monitored home security for as low as $30 per month. After signing up our 36-month contract, we’ll ship security equipment worth up to $1400 to your doorstep. We’ll then guide you through the installation process for free. And if you happen to see a better deal elsewhere, we’ll match it. In the industry since 1992, Protect America is a national home security company. Protect America is the 14th largest residential home security company in the US. We’re dedicated to protecting homes and families through professionally monitored home security. As a direct-consumer home security company, we ship security equipment directly to our customers and then guide them through the simple DIY installation process. Contact us for a free quote.